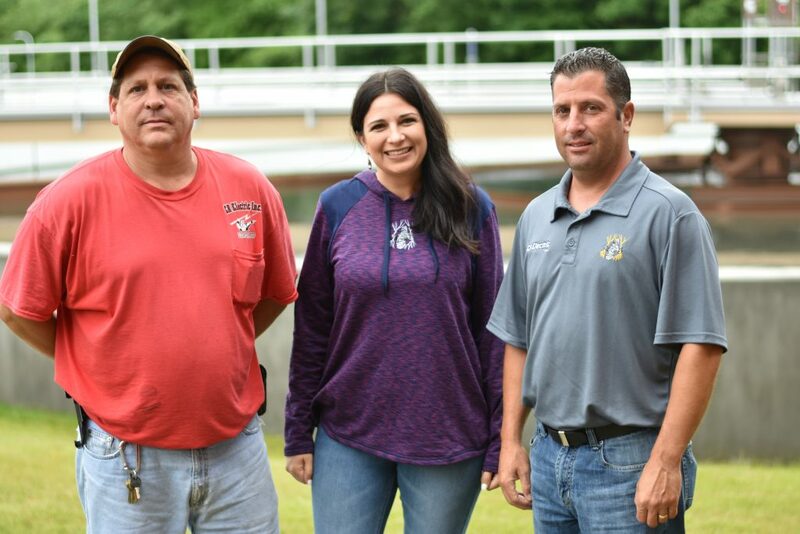 (From left to right): Brad Darno, Nikki Copenhaver and Tom McCleery stand in front of three new clarifiers at the Niles Wastewater Treatment Facility. 30,000 feet of conduit. 300 drawings. 3 years. Those are just some of the numbers that have revolved around the Niles Wastewater Treatment Facility project for Girard-based CR Electric. “I couldn’t do this without my team in the office – Tom McCleery, Nikki Copenhaver and John Robertson and also my outside team, Brad Darno, Mike Mientkewicz, Doug Ripple and all the apprentices that worked on this project,” said Jason Rubin, president, CR Electric. The renovations to the plant were mandated by the Environmental Protection Agency to better treat water that is going into the Mahoning River. Since December 2015, project foreman Brad Darno has been on-site overseeing it. Two and a half years in, McCleery estimates that approximately 85 percent of the project is completed. CR Electric also supplied power to three new clarifiers, and added another interesting feature for the facility. The SCADA system allows officials to analyze and receive crucial data about plant operations in real time of electrical utilities. As with any project, this one wasn’t without complications. When AP O’Horo was excavating an area for three clarifiers, the plant’s proximity to the Mahoning River became an issue. The future of the trade has also benefitted from the project, as CR Electric has engaged apprentices to contribute toward its completion under Darno’s supervision. Rubin also pointed out the invaluable experience for apprentices on a jobsite like this. “As a contractor, it’s important to not only have experienced journeyman working together with the apprentices as a team but also to provide the tools and resources to properly train the apprentices so that one day they will be able to run a project like this,” he said. Eric Walker, a fourth-year commercial electrical apprentice, reflected on one particular project task that challenged him. As CR Electric looks to future ventures, McCleery notes this project will be used as a building block. 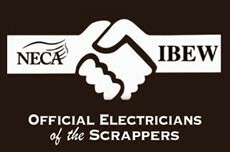 CR Electric is a member contractor of NECA-IBEW Electricians, an association of signatory Mahoning Valley electrical contractors and IBEW locals in Youngstown and Warren. This entry was posted in News on June 22, 2018 by necaibew.